Linking to the Poland Accounting website is permissible if it serves to make available a greater quantity of information on a given subject to a visitor to another website. Linking showing a clear misinforming of visitors through connection with the Poland Accounting website of a page thematically unrelated is forbidden. Please do not provide direct links to individual pages of our range since some navigational elements are in certain circumstances not initiated correctly in the case of remote ASP call up of individual pages. In response to a detailed inquiry we will convey to you links directly to specific fragments of our content. No liability is borne by Poland Accounting for irregularities relating to calling up of the Poland Accounting website by way of other websites. All data provided or acquired by way of this website are treated in accordance with the federal act on protection of personal data (BDSG), the act on protection of data from telecommunications services (TDDSG), the national agreement on media services (MDStV) and the act on information and communications services (IuKDG). Data conveyed to getsix® Wrocław Sp. z o. o. (hereinafter referred to as Poland Accounting), Wrocław, will be treated confidentially and utilised exclusively for purposes provided for by the user. Without the explicit consent of the user personal data will not be conveyed to third parties. 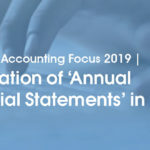 We wish to draw attention to the fact that at external websites, connected by links with the Poland Accounting website, data may be collected which are not conveyed to Poland Accounting and for the utilisation of which Poland Accounting does not bear liability. Access to the Poland Accounting website takes place via the open protocol HTTP. Data entered by visitors to the Poland Accounting website may possibly be recorded in the course of transactions also by third parties. This fact lies beyond the scope of the influence and liability of Poland Accounting. Providing an email address in a form of this website, a user establishes active contact with Poland Accounting (Opt-in). In this way Poland Accounting gains the right to send information to the email address provided. Email addresses provided are not conveyed by Poland Accounting to third parties. If a sender does not wish to receive information from Poland Accounting, this sender may at any time send an email to the address of Poland Accounting and entering as the subject ‘Opt-out’. The given email address will be removed from the Poland Accounting database. There is no possibility of blocking in the above manner messages generated automatically by our program for the service of the website confirming the entering of data. Sending the message ‘Opt-out’ for an email address for which a password has been created at the website brings about the deactivation of data entered and the removal of the password from the system. All articles are copyright of Poland Accounting. This website and all content and images placed at it are protected by copyright. Any use infringing the strict limits of law on authors’ rights, without the prior written consent of Poland Accounting, is unacceptable and forbidden. Copyright also protects the content of partner websites placed at the Poland Accounting website. The basis for the protection of the content of the websites of our partners are bilateral agreements concluded between the partner website and Poland Accounting. It is necessary to abide also by the copyright and authors’ rights of Poland Accounting partner websites. Solely with the prior written consent of Poland Accounting content may be copied and distributed as well as archived electronically or made available in electronic form. All rights reserved. All articles are copyright of the given article author. If Poland Accounting uses only an abbreviation of the surname of an author, in response to an inquiry we will send the full surname of the given author. Use of articles placed at this website is permissible solely for personal purposes linked with the reading of information from the website by a visitor. Creation of one or more copies is not permissible. Only those articles placed in the Downloads section are intended for reproduction and distribution. In a judgement of 12 September 1999, 312 O 85/99?, ‘Liability for links’?, the Regional Court of Hamburg decided that a person placing a link bears joint liability for the content of the website to which the link leads. In accordance with the judgement of the Regional Court, it is possible to prevent this only by explicitly distancing oneself from this content. We hereby distance ourselves explicitly from all content placed on pages or in files or graphics to which links placed by us lead and thus do not acknowledge them as our own. All violations of binding laws, customs or morals which become known to us will result in immediate removal of links, entries, graphics or any other forms of reference from the Poland Accounting website. Liability for content and information placed at connected pages or at Internet addresses provided will be borne exclusively by the given URL owner, provider or administrator. In the case of simple URL links to external pages or websites the concern is connection with publicly available information at the website to which the link leads. 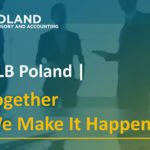 Generally Poland Accounting does not check whether the connection by link with the Poland Accounting website is permissible. If your website is connected by link with our website and you prefer no connection of this type, please inform us. We will immediately remove the link. b) still contain the same content as at the time of their introduction. In particular Poland Accounting emphasizes that link content is not its property. Moreover, Poland Accounting does not assume liability for the content of given websites and the manner in which they act. Links to external providers do not constitute assessments or recommendations by Poland Accounting. If you encounter at our website invalid or incorrect links or references which violate articles of law or decency, please inform us. As defined by §6 of the national act on media services, liability for that content on the Poland Accounting website which is our own is borne by the board of directors of getsix® Wrocław Sp. z o. o. As defined by press law, liability for that content on the Poland Accounting website which is our own is borne by the board of directors of getsix® Wrocław Sp. z o. o. The editorial section, despite scrupulous inspection and checking of sources, gives no guarantee of the truthfulness of content. Any liability for loss or damage arising as a result of information or content placed at this website is ruled out. Solely the right to publication of a correction or different version applies. It is important to further support our website with marketing material that can be easily downloaded or viewed. This allows clients or potential clients to gain insight into Poland Accounting and how we present ourselves to the outside world. Please click and view our Publications.